The Copar SWS-5 System provides the ability to selectively add moisture to isolated areas of a web in order to correct warp that is beyond the control of standard adjustments. Once an Operator has isolated the location of the warp and selected the amount of additional moisture required to flatten the sheet, the control automatically maintains the correct addition level independent of speed changes. •	Dual Manifold System can supply water to up to two webs. Will correct Normal, Reverse and "S" warp. A lower manifold is positioned to correct Normal warp; an upper for Reverse warp. The two manifolds are used in combination to correct "S" warp. Operator selects the appropriate manifold for the warp condition using toggle switches on the main control panel. •	Triple Manifold System - will correct Normal, Reverse and "S" warp. 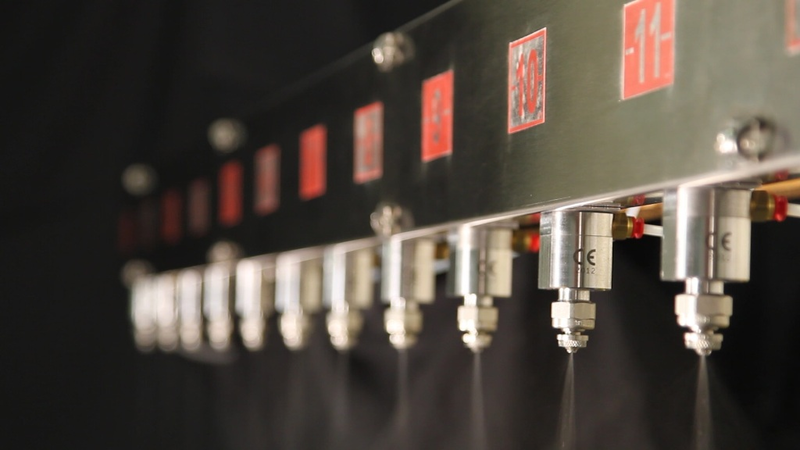 The SWS-5 Control determines web speed, calculates the required flow rate to attain the selected moisture addition level and energizes each valve to spray the proper volume of water. The system monitors web travel and automatically adjusts individual zone flow rates to hold the moisture addition constant independent of speed changes. 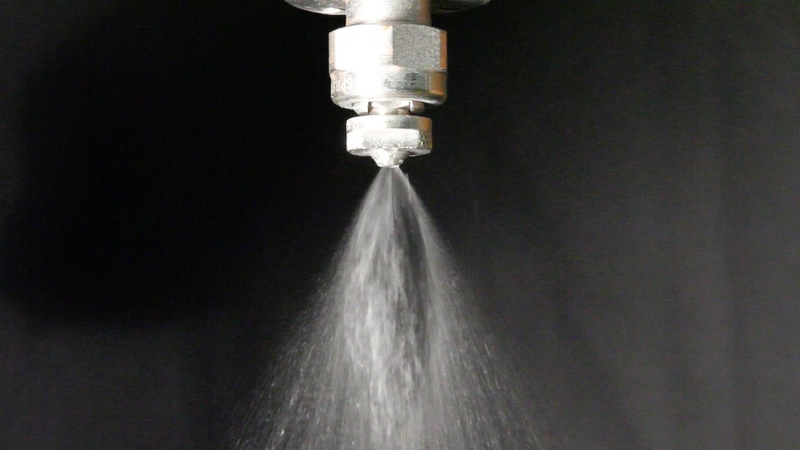 If the web speed drops below minimum, the control shuts off the spray manifold(s). When web speed rises above minimum speed, the control again adds the proper amount of moisture to produce flat sheets. Traditionally, warp problems caused by unbalanced liner combinations or wide moisture difference between the top and bottom liners have been corrected through the expensive proposition of applying more starch (and water) in an attempt to balance the moisture. Copar's SWS-5 System provides a means of adding moisture across the entire web without the need to increase starch usage. Wet streaks continue to plague corrugator crews and inhibit their ability to produce flat board. 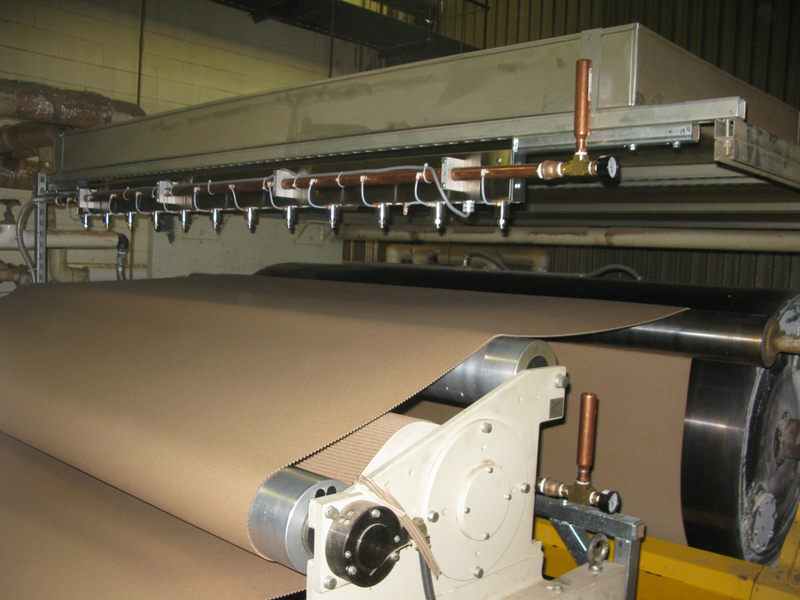 Copar's SWS-5 System allows the crew to selectively add moisture to specific areas of the web and flatten the sheet. A COPAR Segmented Water Spray System can be viewed as a supplement, rather than a replacement, for existing warp control procedures. Moisture should be added to the web only after all conventional techniques for warp reduction have been employed. A minimum application of additional moisture will permanently correct warp; use of too much water will only serve to mask a warp profile that will reappear when the excess water evaporates.